Please tell me about concerns and challenges currently facing medicine in Japan. I believe the greatest challenge facing insured healthcare is growing medical expenses. In 2001, annual medical expenses were 30 trillion yen. Ten years later, they increased to over 40 trillion yen. They are predicted to rise to 60 trillion yen in 2025. In the Nikkei front page series called “The Safety Net Built on Sand” which began publication in December 2012, I focused on how we should approach burdens and benefits. The news team has taken the stance that the current universal healthcare system has already failed because it is propped up by the creation of debt for future generations to pay off, so we think the central topic that must considered is what approach to take in the future. Right now in Japan, the public is unaware of the current situation surrounding burdens and benefits, so we first determined how much money the entire country is spending on healthcare and compared that to the national healthcare budget to look for a way we can successfully pass down our wonderful universal healthcare system to our children and grandchildren. As you mentioned, it is questionable if the current health insurance system is sustainable due to fiscal concerns. Even if many healthcare providers recognize this problem, I think they have not yet successfully taken concrete steps to solve it. Can online medical consultation play some role in helping overcome this challenge? I believe the direction in which online medical consultation is pursued will have a massive impact on the sustainability of the current universal healthcare system. We know that the per capita medical cost is increasing for the advanced elderly – people over the age of 75. In a project related to “The Safety Net Built on Sand,” we compared data ranging back to the introduction of the Latter-Stage Elderly Healthcare System in 2008, collected from 1,741 local governments nationwide. In the first article in that series entitled “Unchecked Expansion,” we showed that in 2016, there was a per-capita cost difference of nearly three times between the municipality with the highest cost and the one with the lowest cost. Fukuoka prefecture’s Umimachi City had the highest per-capita cost at 1.33 million yen and Tokyo’s Mikurajima Village had the lowest per-capita cost at 470,000 yen. Yes, it is. Even though medical expenses have grown like I explained, the needs of the elderly have gone completely unaddressed. Given that the original purpose of the Latter-Stage Elderly Healthcare System was to keep medical expenses for an increasing number of elderly patients under control, discussions have advanced under the assumption that primary care physicians have been effective gatekeepers by providing appropriate diagnoses. However, some have opposed placing limits on free access to healthcare, which took the backbone out of the primary care physician system from the time it was introduced. Meanwhile, medical expenses for the elderly have grown. There are differences in medical expenses even within the same administrative division. Areas where there was a difference of over two times between municipalities within the same region were Fukushima prefecture with a difference of 2.35 times, Tokyo at 2.12 times, and Hokkaido at 2.09 times the difference. Notably, every municipality in Fukuoka prefecture had medical expenses that surpassed the national average. Looking at the change over time, overall medical expenses are trending gradually upwards while the differences between the administrative divisions of Japan have stayed the same. One might say efforts to keep medical expenses under control have not been effective. One element is the number of doctor visits per person. In data compiled by the OECD, Japan was second only to Korea in average number of doctor visits, at 12.8 times per person. However, a working paper published by the Japan Medical Association Research Institute said “It is said that the high average number of doctor visits for Japan is a problem, but the cost of each visit is low, and outpatient treatment is inexpensive,” and pointed out that outpatient treatment is always available in Japan. They believe this suggests the possibility that healthcare in Japan is currently being supplied in an efficient manner. In short, they claim that ready access to medical treatment prevents patients’ ailments from worsening, helping to keep medical expenses under control. However, looking at the actual data collected by the Ministry of Health, Labour and Welfare (MHLW), per capita medical costs are high. The facts suggest to me that perhaps there are medical treatments being provided where they are not entirely necessary. What examples can you give us? In the first installment of “The Safety Net Built on Sand,” we introduced the case of a person over the age of 75 living in Okinawa who incurred healthcare costs of 74 million yen over a three-and-a-half year period. They were originally hospitalized for heart valve disease but were later moved to the acute ward for an extended stay. 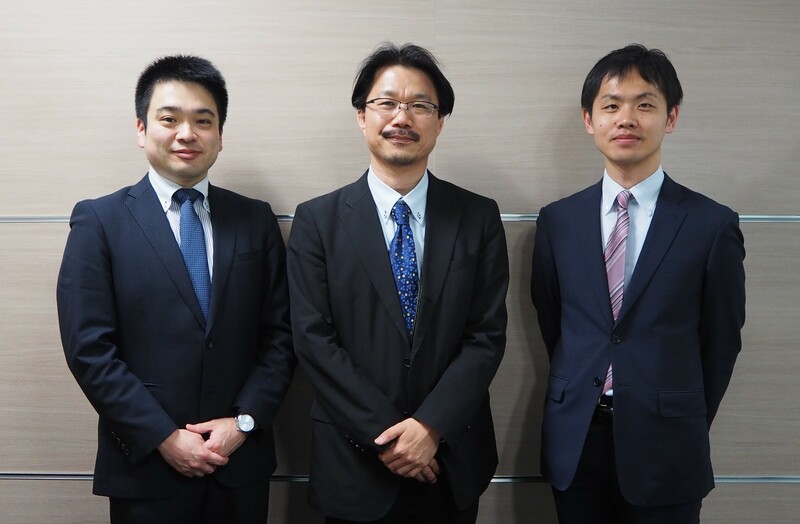 Professors from Okinawa prefecture and Hiroshima University conducted a joint analysis of the medical expense claims made for that patient. They discovered 76 medical conditions named in those claims for which a massive amount of drugs had been prescribed. A junior reporter conducted an on-site investigation and was told that at the end, the patient had been considered for dialysis. According to the family, when they learned that one year of dialysis would cost another 5 million yen, they said, “We have received enough care,” and declined the treatment. The patient passed away after that, but I think it is a problem if cases like this are left alone. The cost of one outpatient treatment is indeed low, but there are cases where patients visit doctors many times, or cases where patients are prescribed two or three redundant drugs. While some may not yet be fully aware of these sorts of cases of excessive medical care, it has been identified as a major problem for them to continue completely unchecked. What role can online medical consultation play to help solve problems like the ones you have pointed out? If online medical consultation is introduced in the current environment, I believe the number of medical visits will definitely increase. By expanding free access, it will become slightly easier for people to see a doctor. From both the viewpoint of the patient and from the macro viewpoint of the total cost of healthcare for the population, a major theme to consider will be how to make the most effective use of that easier access. We believe one of the main points we must consider is how to increase the number of natural deaths. We gathered data from all the municipalities with populations over 200,000 from the 1,741 municipalities included in the MHLW’s publications. We then calculated Standardized Mortality Ratios (SMR). We discovered a trend in which a higher SMR for natural deaths accompanied lower per capita medical expenses for the advanced elderly. There was no similar downward trend in nursing costs, but at the same time, they also did not increase. This led us to conclude that if nursing is provided appropriately, it can lower both nursing costs and treatment costs. We anticipate that this may be a way to help people achieve what is considered the most peaceful way to pass, a “natural death.” Based on this analysis, Chigasaki City was not only the top city for natural deaths for men, but it also had low medical expenses. We visited Chigasaki City and learned that the southern part of the city is relatively flat, and that the elderly people there live active lifestyles using bicycles for transportation. Also, as part of a regional initiative, coordination between home care support clinics and people in occupations like nurses and caregivers is pursued at an early stage. By the way, Chigasaki City is top class nationwide in number of home care support clinics per person. Also, the city hired NTT Data to analyze their national health insurance claims. While limited funds prevent them from responding to every medical condition that occurs, they analyze methods used to prevent, for example, someone’s diabetes from getting worse, and then build effective countermeasures using the results of that analysis. I see. So increasing the number of natural deaths is important from both the viewpoint of patients and for controlling medical expenses for the entire country. In what ways will it be possible for online medical consultation to contribute to increasing the number of natural deaths? Going by the example set by Chigasaki City, I think it will be very important for strengthening ties between patients and home care support clinics that fulfill the role of primary care physician. In other words, I think online medical consultation will be an extremely effective tool for conducting periodic patient examinations. When we asked the Chigasaki City Doctor’s Association the reason for the high rate of natural deaths there, they said that in many cases, elderly patients were not hospitalized immediately when they suffered from a condition, but instead received treatment at home from in-home physicians. Under normal circumstances, if a patient passes away while hospitalized it is classified as a death from disease. However, when primary care physicians can successfully provide in-home care thanks to a strong relationship with the patient or their family, they are able to avoid excessive medical treatment, which ultimately leads to many cases that result in natural death. I believe online medical consultation will also be very effective in accelerating in-home medical care. Additionally, I think online medical consultation will play a major role in helping people successfully curb the progression of lifestyle diseases, chief among them diabetes. For example, the method for controlling a patient’s diabetes at a clinic involves directing the patient based on the results of routine urinalysis. However, I think a major portion of that direction could be given online. If more people, for example busy patients in their working years, could access healthcare from home, it would lead to more cases in which disease progression is successfully stopped. Hyperlipidemia and high blood pressure can be handled in a similar way. This is how I think online medical consultation will play a major role in advancing home medical care. 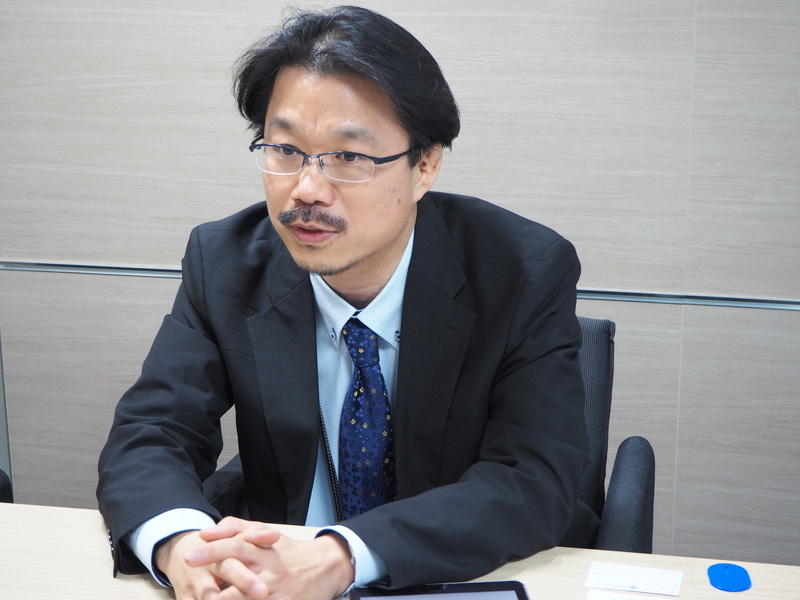 We have heard from Dr. Shinsuke Muto about online medical consultation being used effectively in Fukuoka. Just as you said, time is limited when providing treatment for diabetes control in outpatient facilities, but not only did online consultation allow for substitute examination times, it allowed caregivers to monitor their patients’ daily lifestyles. He pointed this out as one aspect of online consultation that can be valued highly. Based on what you have shared with us today, I think online medical consultation will be highly effective for meeting the needs of elderly patients, particularly for increasing the number of natural deaths and for halting the progression of lifestyle diseases. What other areas can online medical consultation effectively target? In addition to the elderly and patients with lifestyle diseases, I think it will be useful in reaching people who live in lightly-populated areas. If online consultation provides opportunities for people living in areas suffering from doctor shortages to receive periodic health examinations, it will help prevent worsening conditions for those suffering from chronic diseases. Regions with no lawyers or just one lawyer are called “zero-one districts,” but litigation is impossible without at least two lawyers. To combat this problem, the government established law schools to increase the number of lawyers and other legal professionals. The number of lawyers increased to the point that zero-one districts more or less vanished. However, looking at whether or not it became easier for people in zero-one regions to access lawyers, it actually did not change very much. Lawyers simply concentrated in urban areas. The same trend can be found for doctors. For example, the number of doctors in Kochi prefecture greatly increased, but the majority of them are located in Kochi City. Therefore, in order to solve to the problem of providing medical care in low-population areas, I think effectively utilizing online medical consultation is more important than increasing the number of doctors. 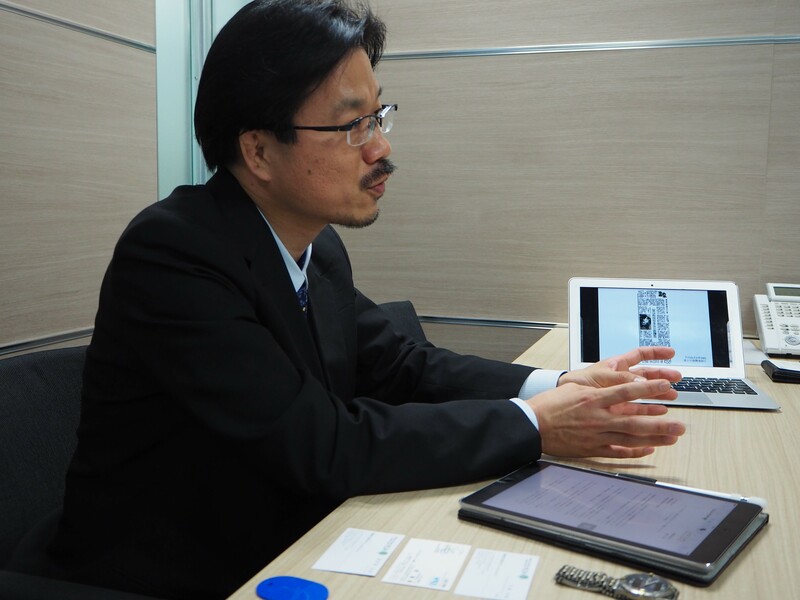 In the legal world, lawyers in Tokyo sometimes provide consultations to clients though video calls and then travel to them for the actual trial. While there are currently various regulations in place for medicine, I believe online consultation can be used effectively in medicine, too. There are many studies that show supplementing existing medical care with online consultations enhances the consistency of medical treatments and in turn increases patient satisfaction. Of course, that also leads to increased medical expenses. On the other hand, perhaps online consultation could be considered highly valuable when used effectively for achieving natural death outcomes. As far as I can recall, I have never seen research based on the idea that online medical consultation enables caregivers to intervene with preventative measures before a patient’s condition worsens, resulting in lower overall medical expenses and increased quality of life for the patient. This is a very interesting point in my opinion. Perhaps we in Japan should take this viewpoint into consideration when determining the value of online consultation. Prior research has shown online medical consultation to be uneconomical from the standpoint of medical economics. This was because it led to increased costs for hospitals in the form of salaries for system support personnel. But, after hearing the story you just told us, I think if online consultation is considered part of the infrastructure for personal care physicians to use to provide in-home care, then there is a definite possibility of a more positive result when online consultation is viewed in terms of medical economic viability. I feel that one would not come around to this way of thinking without first looking at the situation from a societal point of view. In the debate over online medical consultation, I think it is crucial to define the ultimate goal. The ultimate goal must be defined in terms such as, “We would like to steer society in this direction,” and I think it is important to consider how online medical consultation will be useful in accomplishing that goal. When approaching the situation from a societal point of view, what challenges do you see for popularizing online medical consultation? Please tell us your thoughts on this subject. Which is to say, for some depopulated villages where most inhabitants are senior citizens, thirty minutes is impossible. Online medical consultation is generally used for treating ailments that do not require immediate responses, so applying that rule to it may end up restricting its use to urban areas that are already easily accessible. That presents a major challenge. There are not yet rules in place for how to use telemedicine. While the guidelines set forth by the MHLW have clarified the language, everyone has a different mental image of what telemedicine should look like. I take that as a sign the rules have not been constructed well. At the very least, those guidelines named online medical consultation as a current top priority, and I think it should be promoted for the sake of patients, but I feel the way the rules are written is critical. The cost requirement set for online medical consultation in the current revision of the medical fee schedule has a requirement that says, “Consultation is allowed when it can be given within thirty minutes in emergency cases,” and, to me, this seems like an extremely important point. Thank you. Then, when viewing it from the opposite angle, from the stance of people living there, what are the problems and obstacles that must be overcome for online medical consultation to become widely-used? Thanks to the ubiquity of smartphones and tablets, the barriers have lowered significantly compared to ten years ago. Ten years ago, elderly patients had to have terminals installed in their homes, and there was no way forward when tablet terminals could not be provided. Smartphones have become ubiquitous lately, so even if the elderly patient in question does not have one, someone living with them will. What concerns me is people who cannot access the hardware, for example the elderly or those with low incomes who cannot afford smartphones. While inequalities in physical access to online medical consultation can be improved upon, as long as there are economic inequalities, I think accessing the service will only become easier for people that already had easy access. After hearing what you have just told us, it sounds to me as if there may be people such as those with low income or the elderly who will not be able to access the system. Do you have these same concerns? In popularizing online medical consultation, I think challenges presented by inequality are small. Most people who receive social security benefits own smartphones because they are essential for contacting family members. Take single mother households for example; it is important that mothers are supplied with a means of communicating with their children while they are working, so many municipalities prioritize the purchase of smartphones. I think there are not many people who do not own smartphones because they truly cannot afford them. But as for how to help the elderly who cannot use technology, I think, surprisingly, that the barriers there are also coming down. Our news team conducted in-person interviews and discovered that elderly people interviewed were able to use smartphones after being taught, just like with a television. The barrier presented by the digital divide has become lower compared to five or ten years ago. However, I think there are still some people who need access to online medical consultation that do not have smartphones either because they cannot use them or cannot afford them. For them, perhaps a system subsidized by the government or by the municipality could provide medical facilities with equipment that they could then borrow. There was once a proposal that involved spending 50 million yen to dispatch a doctor of obstetrics and gynecology for one year to a depopulated area suffering a shortage of medical care so they could have a doctor. 50 million yen could buy a lot of smartphones. Instead of using that money to send a doctor to the region, I think that money could be used to provide online medical consultation to those who really need it and also lower expenses. It would be helpful if home nurses and other in-home caregivers were able to provide support when the system is introduced. One other subject I would like to ask about is about the plan to gather evidence mentioned in March’s guidelines【1】 on the proper application of online medical consultation. In other words, I think the effectiveness and safety of online medical consultation have not yet been fully proven. Of course, given the amount of time that will take, we cannot afford to just wait, so what do you think requires attention from the patients’ point of view? In order to prove the effects of online medical consultation, it is crucial that we create a system that enables us to rapidly gather data. For example, after twenty years of effort, we have achieved a 98% rate of electronic health insurance claims, so digital has finally become the norm. However, the remaining 2% of clinics still use paper claims. It is thought that many of them are independently-run clinics in depopulated areas where online medical consultation is sorely needed. In order to understand their situation, I think the government should take initiatives to help them submit claims digitally, including providing them with terminals and support. Additionally, it is important to make digital clinical records the norm. It is also desirable that all digital clinical records follow a unified standard, if possible. Combined with digital health insurance claims, detailed data collected from digital clinical records will make it possible to use the data to see all the care given at every medical facility by the following month. Improper treatment methods or incorrect invoice content can then be tracked, for example, when prescriptions are redundant or drugs are being overprescribed, which will then allow for the detection of improper uses of the Social Insurance Medical Fee Payment Fund. In the future, I think it will be important to construct a system that can tell if an improper claim is made as soon as it is invoiced through the introduction of artificial intelligence (AI) to examine health insurance claims. We can expect gathering data like this will let us see not only medical expenses but also the quality of care. And, if treatment and invoice data can be accumulated and verified, it will become possible to confirm whether or not online medical consultation has increased patient QOL and how it affected medical expenses. So, it is important that health insurance claims and clinical records are converted to digital, standardized formats for evidence for online medical consultation to be gathered. By the way, I think the popularization of online medical consultation systems will change how people access medical care in the future, but what sorts of changes will we see in society? Before we can begin that discussion, I think hurdles are still high for online medical consultation to become popular. Everything I have said until now has been from the stance that online medical consultation should be promoted, but in reality, I think am doubtful that it will move forward. This is because some healthcare providers are still stubbornly against it. At a clinic in Tokyo where online medical consultation has already been introduced, I was told, “This probably won’t explode in popularity.” Two of the main reasons for this are the cost of introducing and running the system, and that how it will be balanced in the payment system for medical services has yet to be addressed. Payments made for treatment given online must be controlled in order to control medical expenses. This decreases benefits for healthcare providers. When operating a clinic or a hospital, profitability cannot be ignored, so this economic challenge is a great one. So, ensuring profitability for healthcare providers might be a central challenge for online medical consultation to spread as a social system and become implemented in society. Yes, exactly. Introducing online medical consultation provides the merit of improved healthcare access for patients which may also create merits for healthcare providers as a result. So for places where the introduction of online medical consultation will benefit the entire region, such as at clinics in depopulated areas, what support through public funding was also considered? I think online medical consultation is less necessary in urban areas compared to depopulated villages. However, in the long term, I think there will be various benefits because bringing medical consultations online will allow us to collect nationwide data. Security is another challenge that must be overcome if online medical consultation is to become common. In March of this year, 2018, the Taiwanese government invited us to Taiwan to observe their public health and medical treatment system, in which the Taiwanese government is the sole insurer and holds all of the medical insurance data. As a single-payer system, the government takes full responsibility for maintaining security. Unlike Taiwan, Japan has many privately-owned enterprises providing health insurance, so I think it will be a major challenge to determine who is responsible for security. So security is a challenge due to there being multiple insuring entities, and in addition to problems for the insurer, security risks may be compounded by the fact that there are various platforms. There is by no means a popular, standardized method for providing online medical consultation, and there are currently various service providers involved with many competing platforms. This might be the same challenge that is encountered when attempting to convert clinical records to digital formats. Should platforms also be standardized? 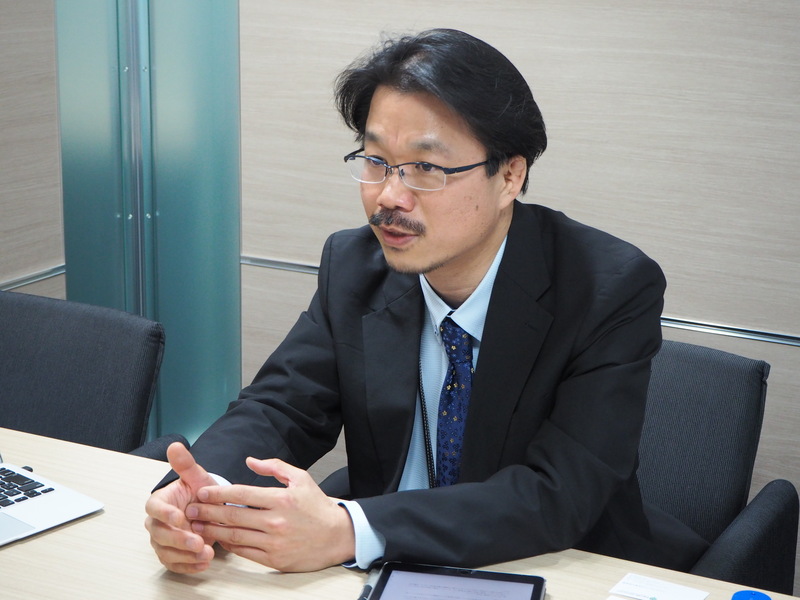 I too have been collected information about the digital conversion of clinical records, and the problem with information and communication technology (ICT) in Japan lies in attempting to standardize the entire system. In the end, it is impossible to achieve full standardization, which has caused numerous setbacks. Conversely, it might be best to set standards by saying “These are the only things that are necessary” and define the greatest common divisors, then allow vendors to develop individual solutions for future needs. The bare minimum should not be left up to the market. Instead, the government should create specific standards. Similarly, while I think it is absolutely necessary for standards and criteria are set to provide security when giving consultations online, there are two sides that must be considered. The first is how to make online communications with patients secure, and the second is how to provide secure access to medical information held by clinics when giving online consultation. I think it is okay to use existing social networking systems (SNS) and applications for straightforward communications between patients and healthcare providers. Assuming online consultation will include accessing medical information held by clinics, I think specific standards for security will be necessary. Today we have heard about the popularization of online medical consultation, as well as various challenges and possibilities for it, for both society and patients. Thank you for taking time out of your busy schedule to talk with us today.